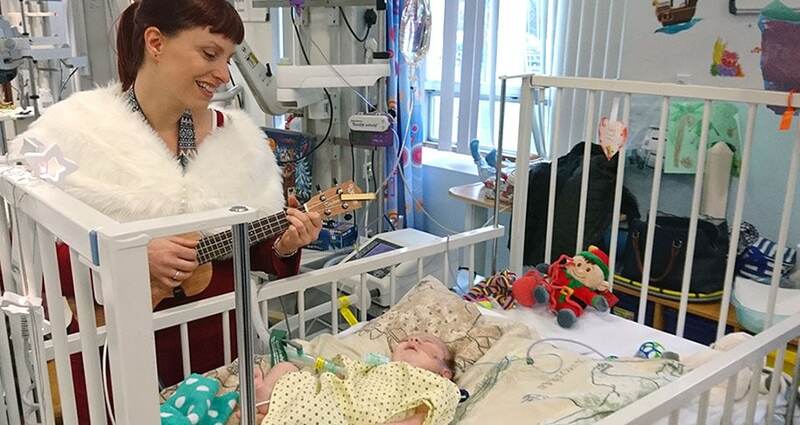 Our Lullaby Hour sessions provide gentle songs and melodies for poorly babies and children in hospital wards, neonatal units and hospices. 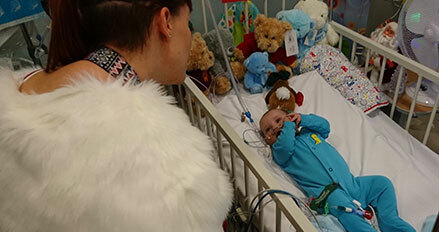 Professional musicians sing and play for young patients, to help bring a sense of calm and relaxation. The soothing music is a wonderful way to reach out to children and their families by creating special moments at these very difficult times. 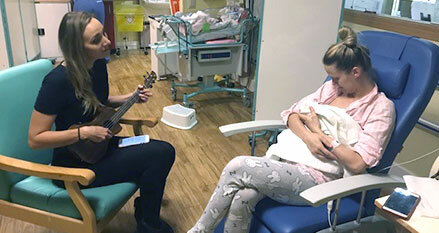 Lullaby Hour has won a national Innovation Award from the ScottishPower Foundation, along with a grant to help roll out Lullaby Hour sessions to more hospitals across the UK. View our short video from the BBC to find out more about the service, or contact Music in Hospitals & Care for more information. We have produced a songbook to accompany the music sessions. Find about more about the Lullaby Hour Songbook where you can download the CD. It was a very special moment for my baby and me – what a wonderful experience to provide at a stressful time.